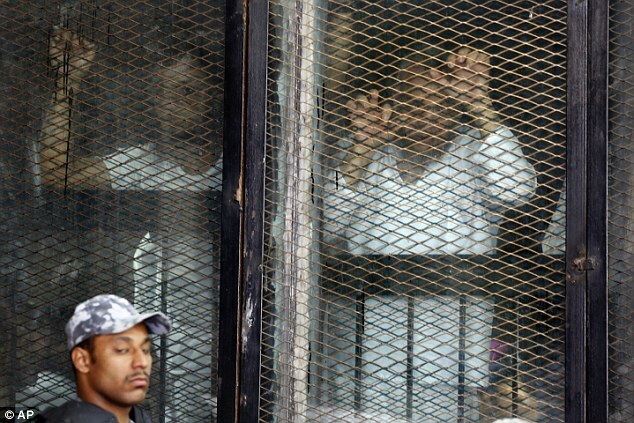 An Egyptian court said on Saturday it would transfer the cases of 75 people accused of security-related offences, including senior Muslim Brotherhood figures, to Egypt’s top religious authority to decide whether they should be sentenced to death. They are among more than 700 people accused of illegal protest and murder over a 2013 sit-in which ended in the deaths of hundreds of Brotherhood supporters and dozens of police when security forces broke it up violently. The accused face a range of sentences including execution and life in prison.